When bucket washing is a must, the folks at Mothers have you covered. 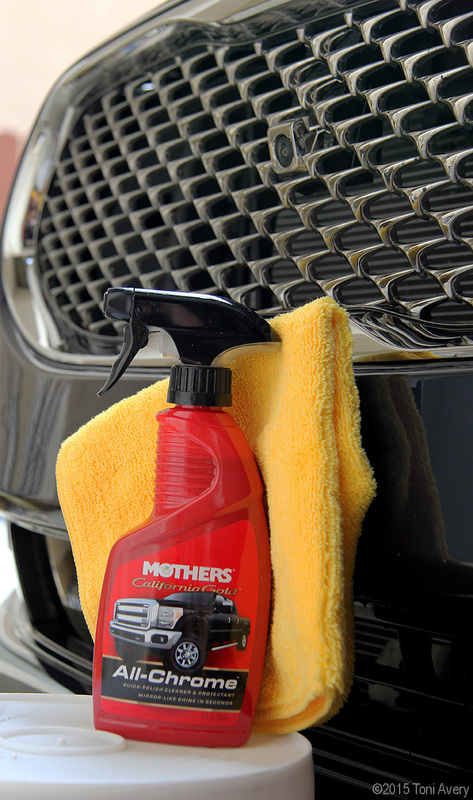 From wash and wax to window cleaner, there’s a Mothers product to help get your ride looking fresh and clean. Providing GirlsDriveFastToo with all the products you see here, with the exception of the wash mitt, each step and product was used as per the suggested instructions on the backside of each bottle. Before using this product on your car, be sure to hose it off first in order to get any extra debris or loose dirt off the paint. 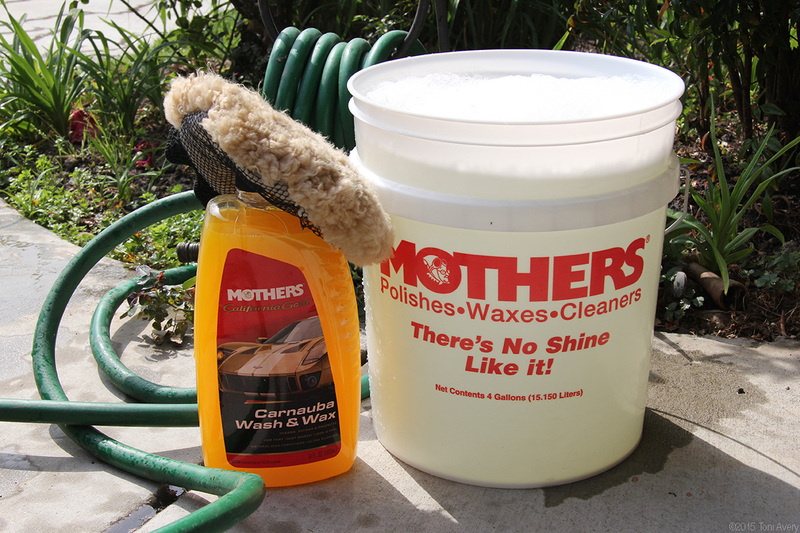 Once the car is hosed, have a large bucket, such as the Mothers one pictured, ready and filled preferably with warm water and a generous amount of the Carnauba Wash and Wax. Dunk the wash mitt, or whatever soft item you’ve designated for bucket washing and liberally apply the soapy water over the entire car. Once the whole car is covered, take the hose and spray until all the soap is gone. Drying the car simply requires two dry towels, one for soaking up the majority of the water and another for following that towel. After the car’s paint is dry it may require some additional cleaning depending on the condition of the car’s paint. Showtime works as a great follow-up to Carnauba, further cleaning the paint and adding a little more shine. Both Carnauba and Showtime did exactly what the bottle explained. No residue or any strange after effects were left. 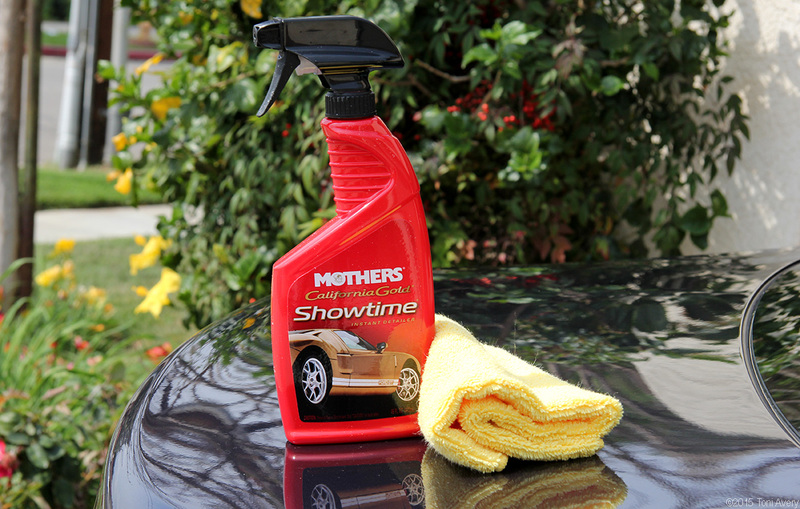 In fact, I noticed with Showtime, among other products in the Mothers line, the smell it gave off was actually pleasant compared to most products out there. It gave off a cinnamon aroma as opposed to some other harsh chemical smells found elsewhere. This was another plus for me. 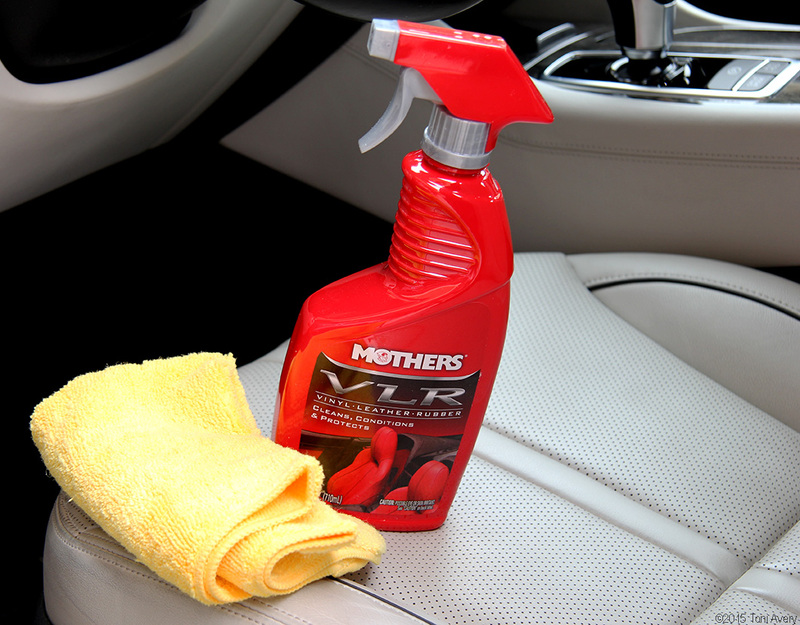 Depending on what your car is equipped with, there are several types of Mothers wheel cleaners to try. For the purposes of this wash, this Kia was fitted with chrome alloy wheels. On the back of the Chrome Wheel Cleaner bottle is states that if you are unsure of the wheel type then use the Aluminum Wheel Cleaner. Not wanting to take any chances I took Mothers suggestion and went for the Aluminum Wheel Cleaner, just in case the finish wasn’t 100% pure. After spraying directly on the wheel, it instructs you are to let the product foam. After a few minutes simply take a clean towel and remove the cleaner, exposing a brilliant shine. The Aluminum Wheel Cleaner worked well on the dirty wheels and left a noticeable shine. Of all the products used, All-Chrome seemed to have the least affect. It might have been because the chrome grill it was used on had some pretty hard water spots left on from previous washes. 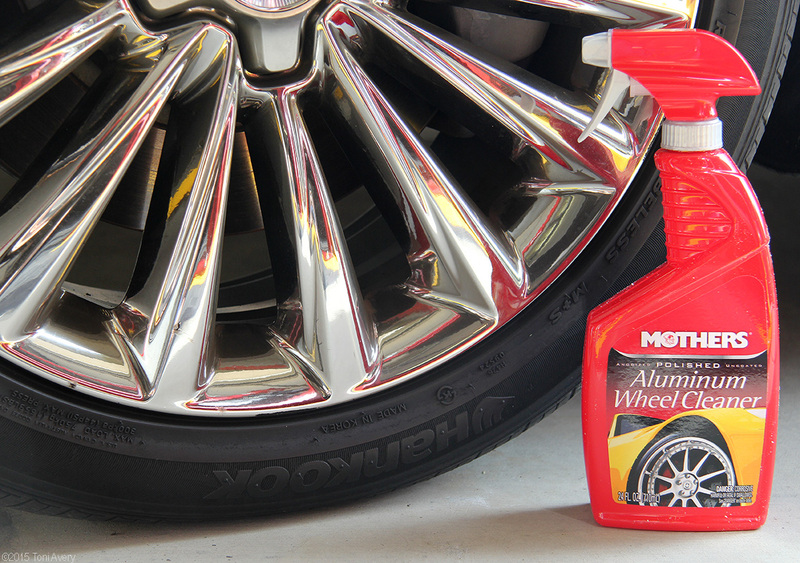 Nevertheless, a slight shine was visible, but not as much as much of a result as the Aluminum Wheel Cleaner provided for the wheels. The last item used on the exterior of the car was actually an afterthought and ended up working best. Revision Glass + Surface takes the error and common streaky after effect out of cleaning windows. For years I’ve used a chamois and a designated window towel, and after using Revision Glass + Surface I’ve been converted. Not only does this product reduce streaks left by cleaning the window but it also removes most stubborn watermarks. 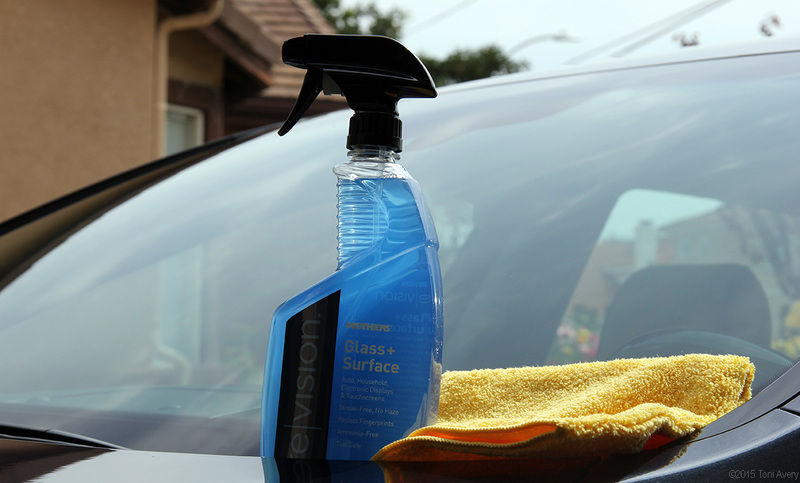 Revision Glass + Surface is my number one product on this list and is a must for anyone who wants a show car window shine. This product worked wonders on the light interior of the Kia. VLR not only cleans, but it also conditions the surface and protects it. For light interiors or those that encounter various dirty objects, VLR does the job. 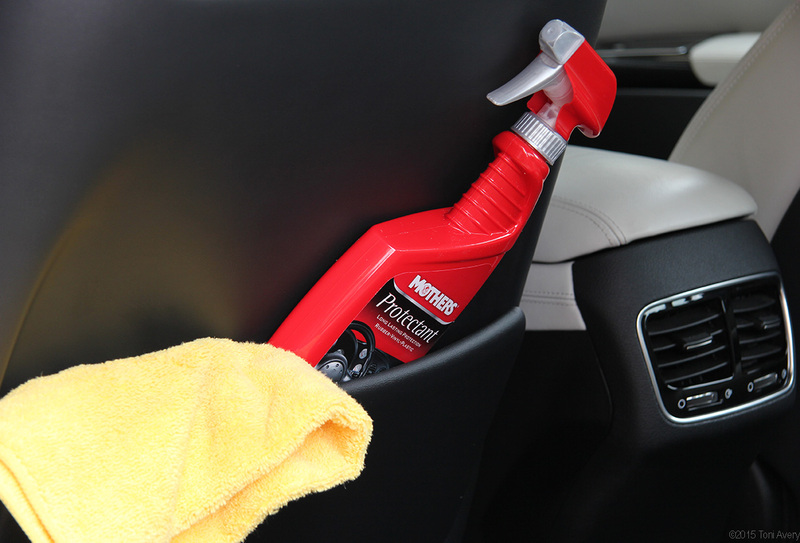 Maintaining your car’s interior can tend to get away from you over the months and years. I found that VLR exposed the interiors true color and lifted layers of dirt from the surface. I would recommend this product not just for maintenance but also to clean up old surfaces. The visual difference isn’t as dramatic with Protectant but it does help keep the most heavily used surfaces in your vehicle looking fresh longer. It did, however, remove some scuffs left on the back of the driver’s seat. While this product is more for protecting surfaces, the result can be seen more in the long-term rather than immediately after application. 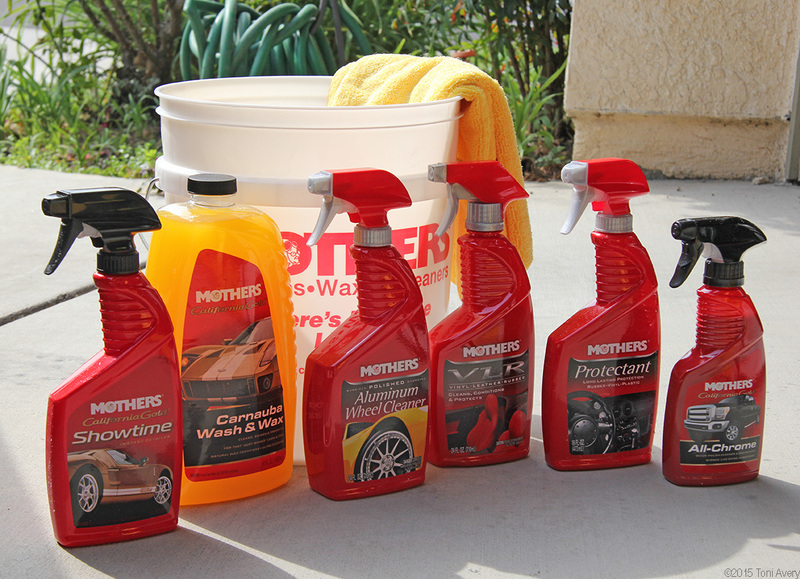 Mothers offers a complete line of car care products including those listed above. Be sure to look for more Mothers product reviews coming soon. The products used in this review can be found online at the Mothers website or on Amazon.